A photo of the entire original Star Wars trilogy. 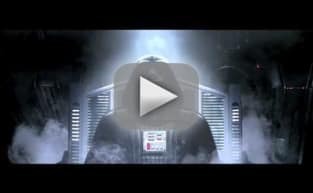 There's A New Hope, The Empire Strikes Back and Return of the Jedi. 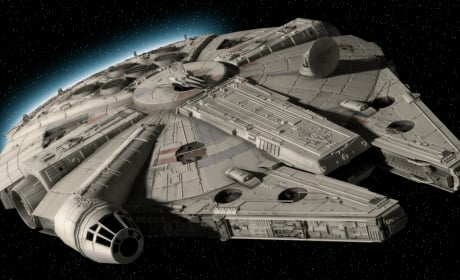 The Millennium Falcon from the Star Wars franchise. Usually behind the wheel is Han Solo. Star Wars logo... in motion. 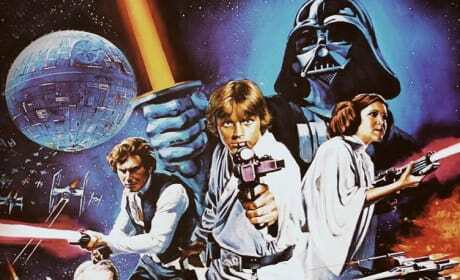 The George Lucas founded franchise will continue with Star Wars Episode VII and director J.J. Abrams. Star Wars has divided fans in terms of what their favorite film in the series is... we want to know: What's your favorite Star Wars film? 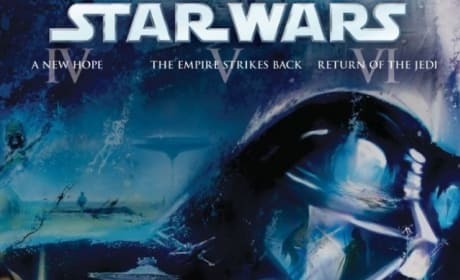 Phantom Menace is about to hit theaters in 3D and it's a good time to talk about your favorite Star Wars flick. 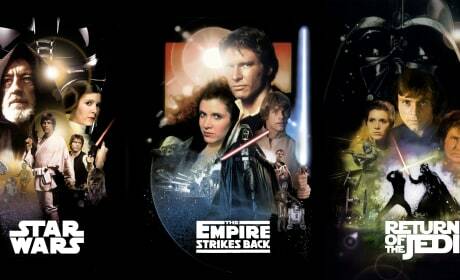 The Complete Star Wars Saga Blu-Ray has broken sales records. Barely out a week and George Lucas' masterpiece is still raking in money. 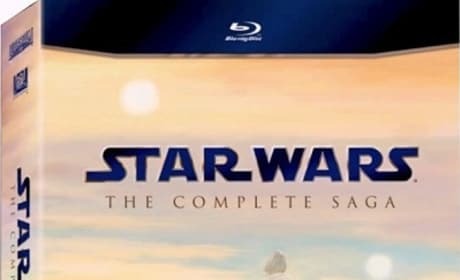 The Star Wars series lands in Blu-Ray. 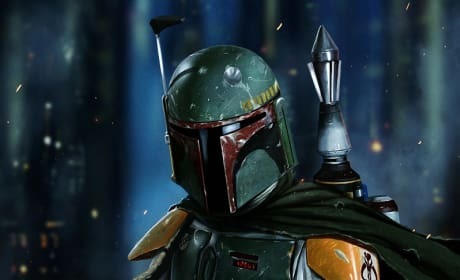 George Lucas has provided some changes to his Star Wars classic in the Blu-Ray release. 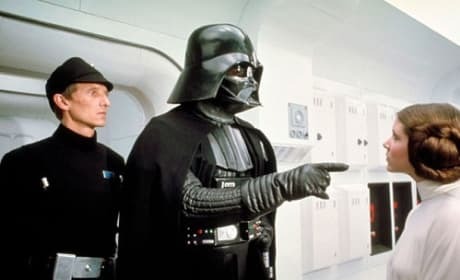 Darth Vader and Leia have words in the Star Wars Blu-Ray. The news is raging out of the Star Wars Blu-Ray. 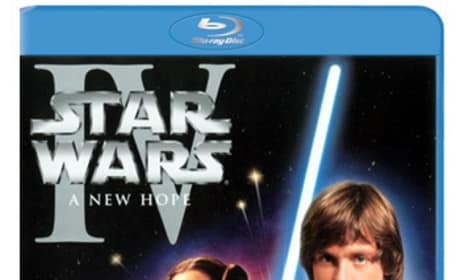 The entire Star Wars series lands on Blu-Ray and Lucasfilm has released a new trailer to send fans into a tizzy. 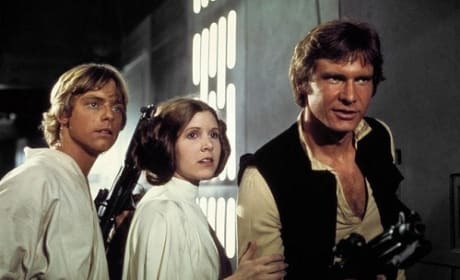 Mark Hamill, Carrie Fisher and Harrison Ford dazzle in hi-def as the original first three Star Wars films can be bought alone or with the most recent three released as Episode One, Two and Three.